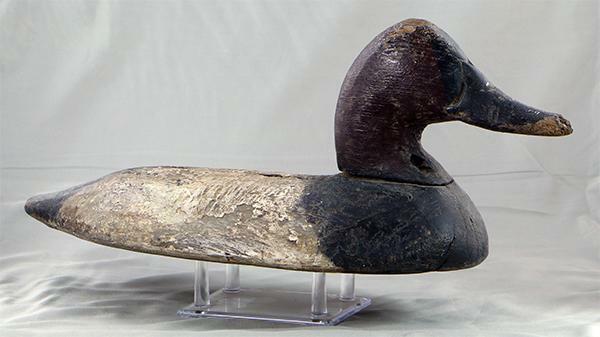 1880: John B. Graham: John B. Graham Canvasback hen, from the P.K. 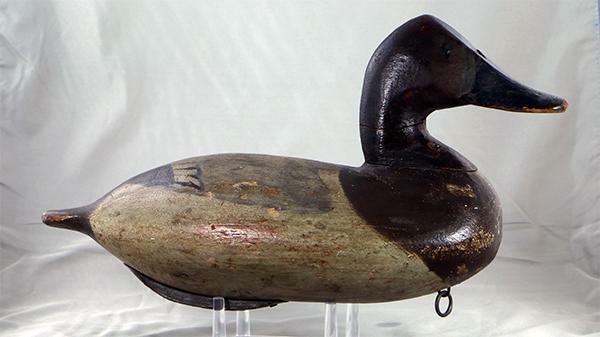 Barnes rig (as branded) circa 1880. 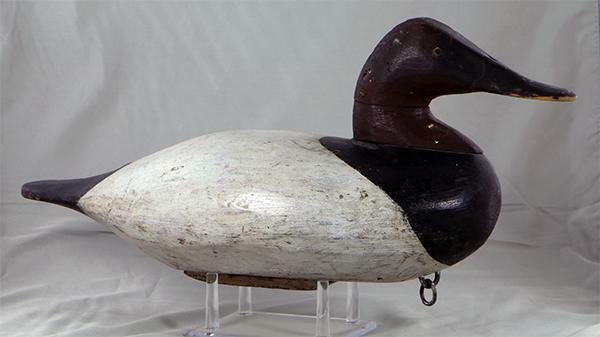 1880: John B. Graham: John B. Graham Canvasback hen baring the P.K. 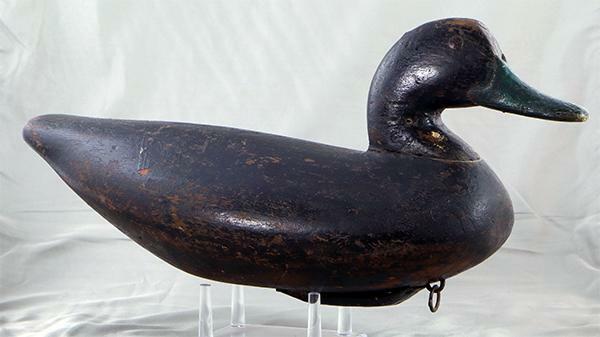 Barnes brand, circa 1880. 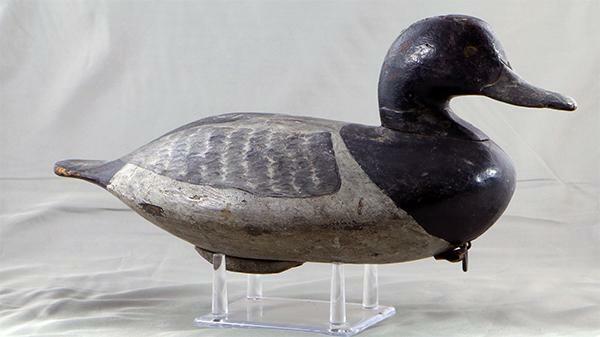 1880: John B. Graham: John B. Graham Canvasback hen sleeper model, circa 1880, repainted by Severin Hall circa 1920. 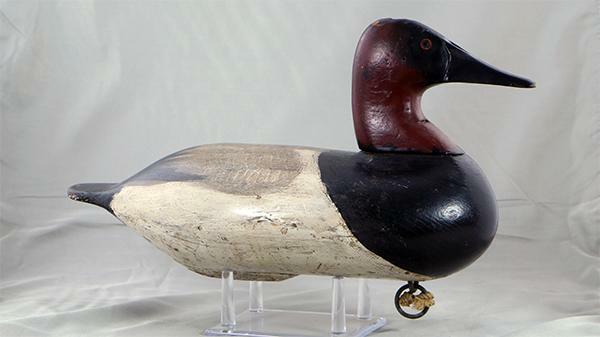 1880: John B. Graham: John B. Graham Canvasback drake sleeper model, circa 1880, repainted by Severin Hall circa 1920. 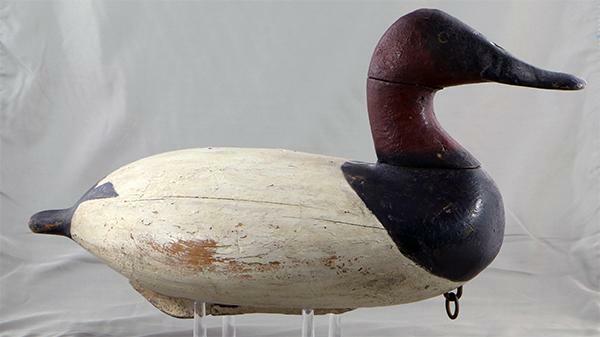 1880: John B. Graham: John B. Graham Canvasback drake sleeper model circa 1880, repainted by Severin Hall circa 1920. 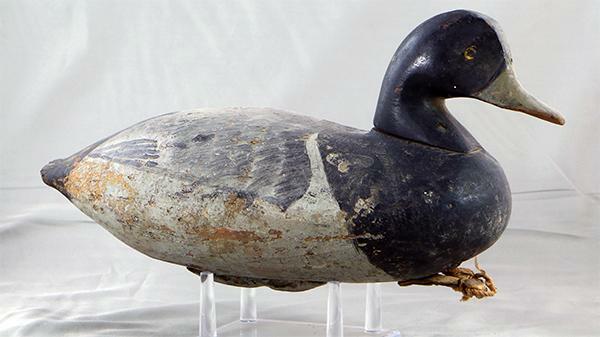 1880: John B. Graham: John B. Graham Black duck, circa 1880. 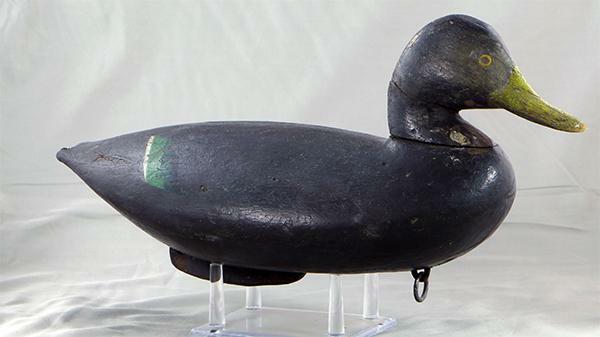 1880: John B. Graham: John B. Graham Black duck decoy, circa 1880. 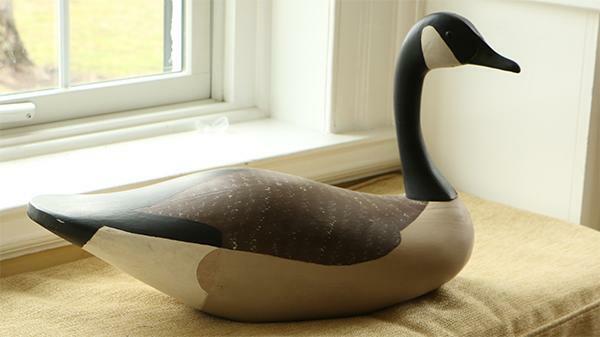 1970: John B. Graham: John B. Graham Bluebill drake from Mr. Graham personal rig (as branded), circa 1970. 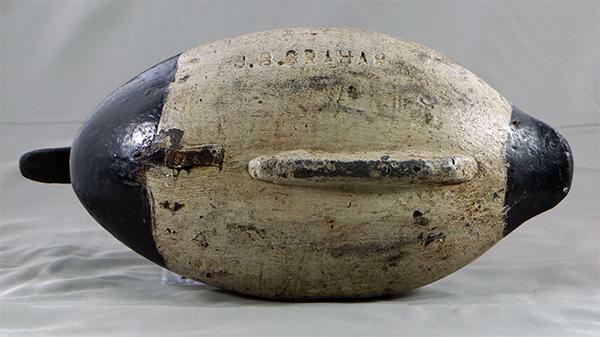 1870: John B. Graham: John B. Graham Bluebill drake, baring the J.B. Graham brand, circa 1870. 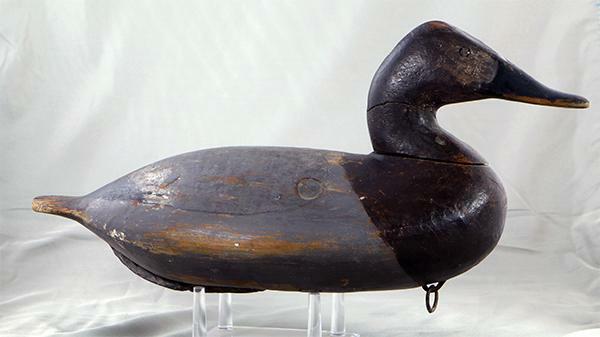 1880: Cleveland Canvasback: The so called “Cleveland Canvasback” drake, circa 1880. 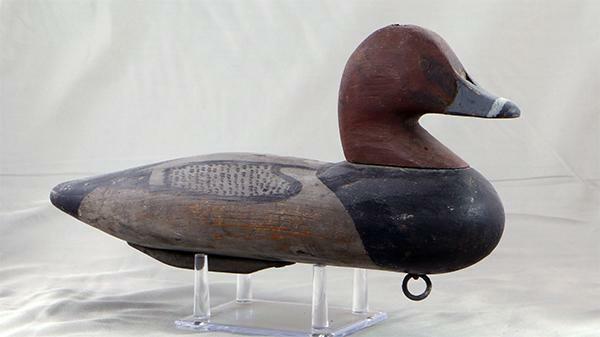 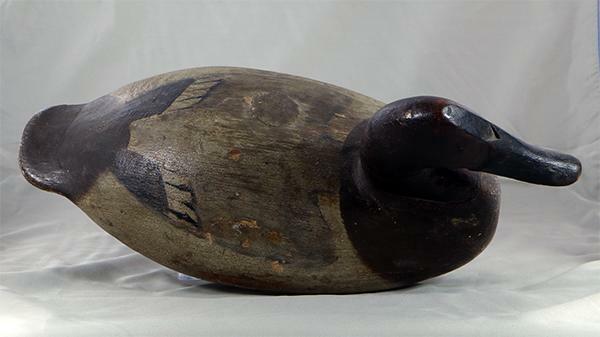 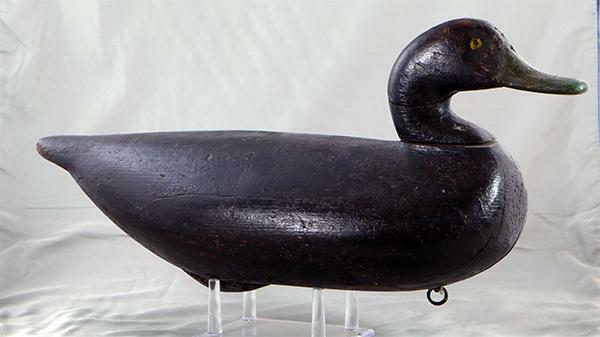 Wooden wing duck below, circa 1880. 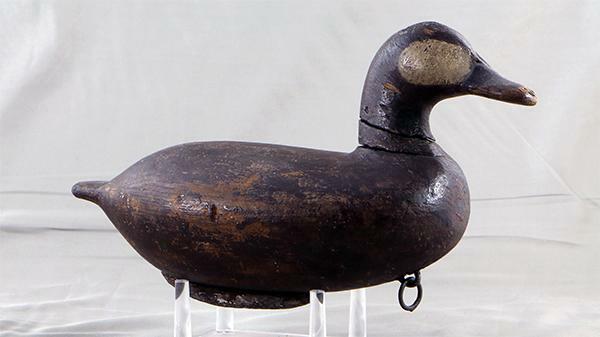 1860: John B. Graham: John B. Graham Ruddy duck drake, circa 1860. 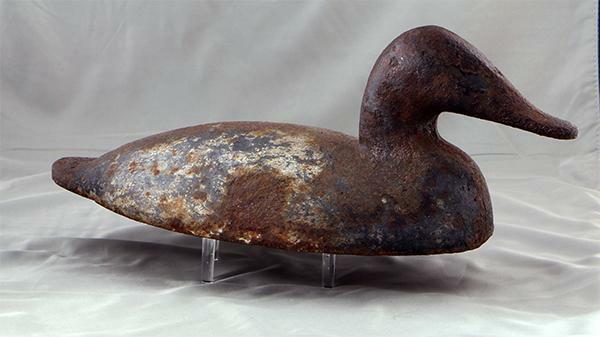 1880: John B. Graham: John B. Graham iron Canvasback hen in original paint, circa 1880. 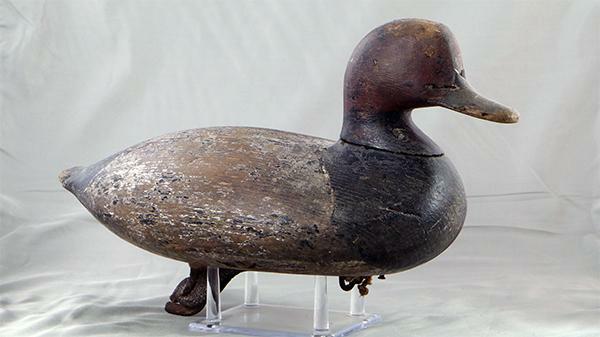 1870: John B. Graham: John B. Graham Redhead drake, circa 1870. 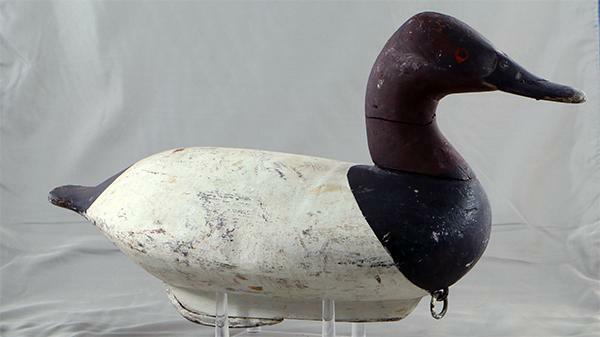 1965: Horace D. Graham: Horace D. Graham Canvasback hen in original paint, circa 1965. 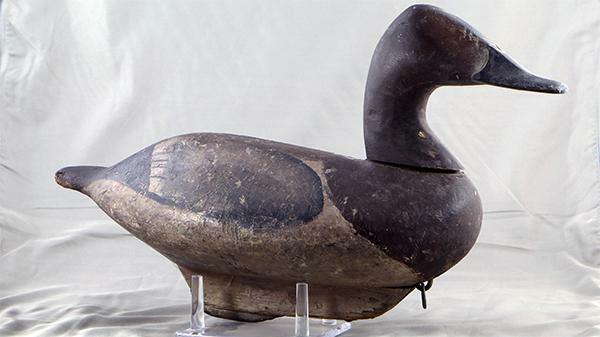 1965: Horace D. Graham: Horace D. Graham Canvasback drake in original paint, circa 1965. 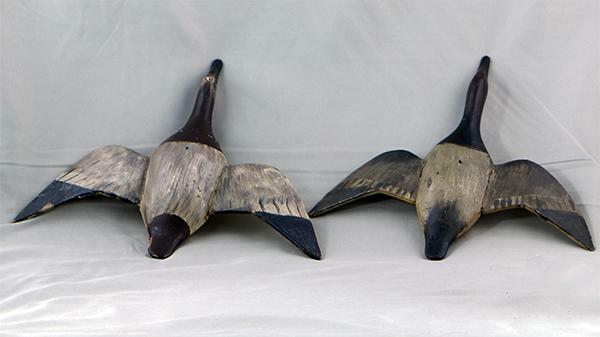 1965: Horace D. Graham: Horace D. Graham miniature miscellaneous decoys, circa 1965. 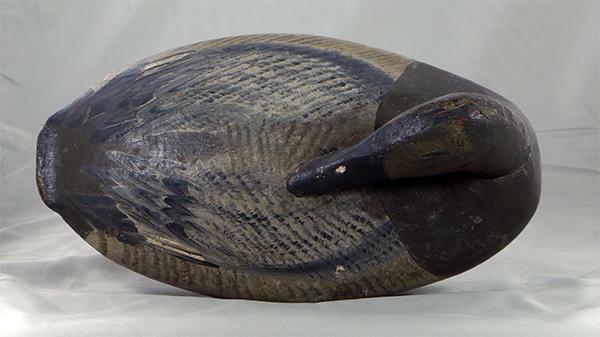 1950: Horace D. Graham: Horace D. Graham Canadian goose, circa 1950. 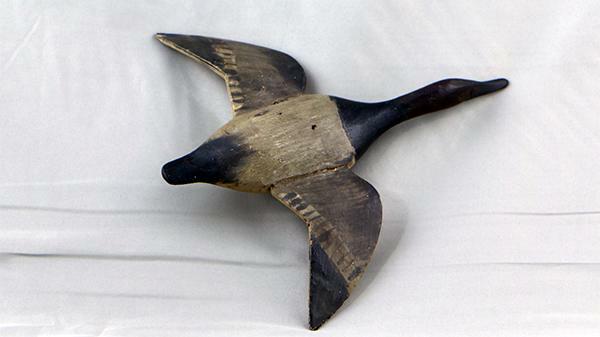 1955: Horace D. Graham: Horace D. Graham Canadian goose, circa 1955. 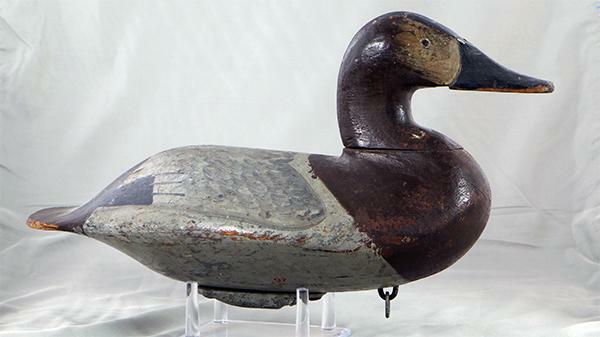 1900: Scott Jackson: Scott Jackson Canvasback Hen in original paint from the Lew Pennock rig (as branded), circa 1900. 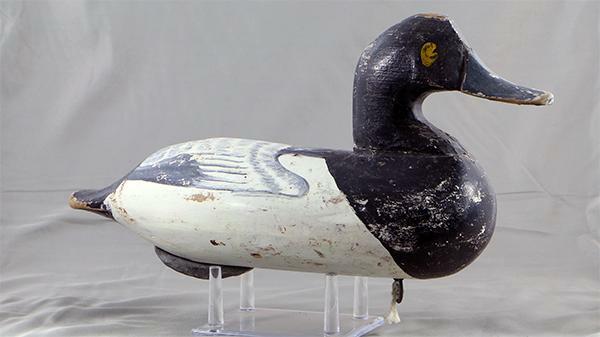 1900: Scott Jackson: Scott Jackson Canvasback drake in original paint from the Lew Pennock rig (as branded), circa 1900. 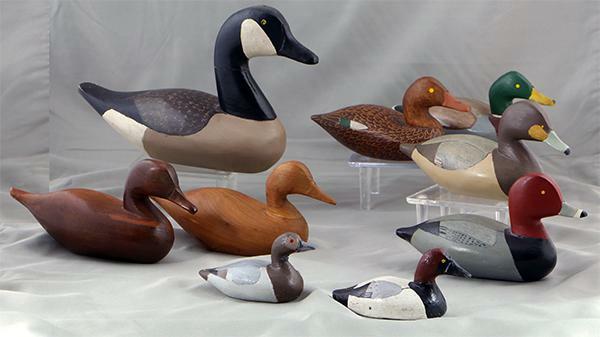 1900: Scott Jackson: Scott Jackson Canvasback drake, baring the Lew Pennock brand. 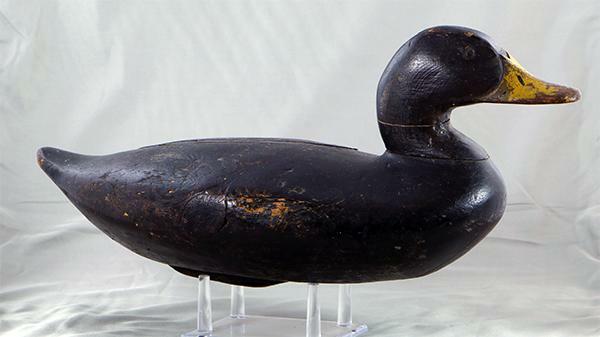 1890: Scott Jackson: Scott Jackson Redhead drake in original paint, circa 1890. 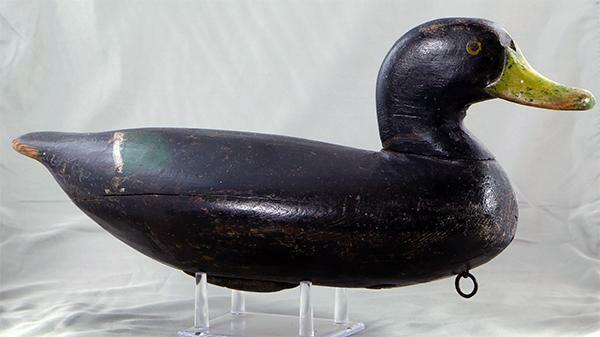 1890: Scott Jackson: Scott Jackson Bluebill drake in original paint, circa 1890. 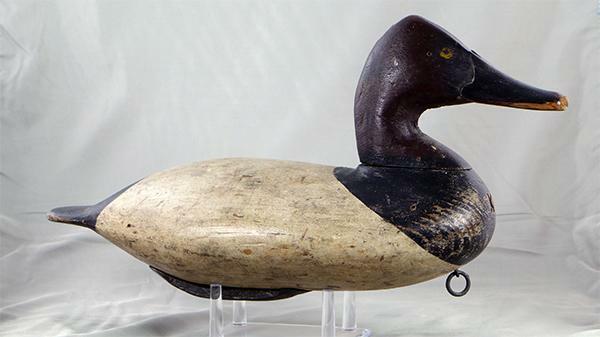 1910: Scott Jackson: Scott Jackson Canvasback drake high head model in original paint, circa 1910. 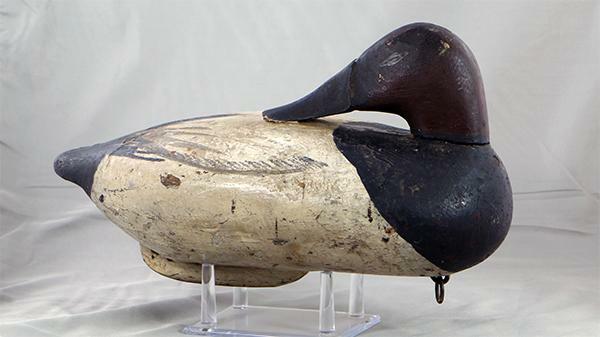 1910: Scott Jackson: Scott Jackson Canvasback hen high head model in original paint, circa 1910. 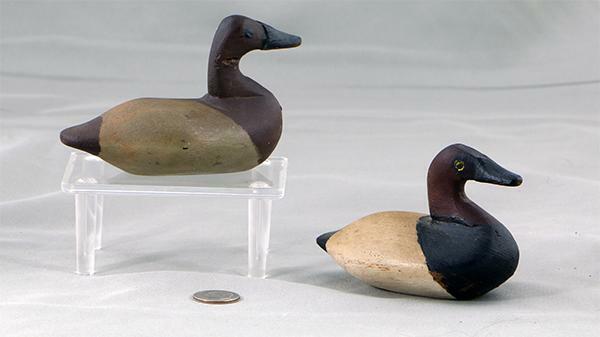 1915: Scott Jackson: Scott Jackson miniature Canvasback pair, flying model in original paint, circa 1915. 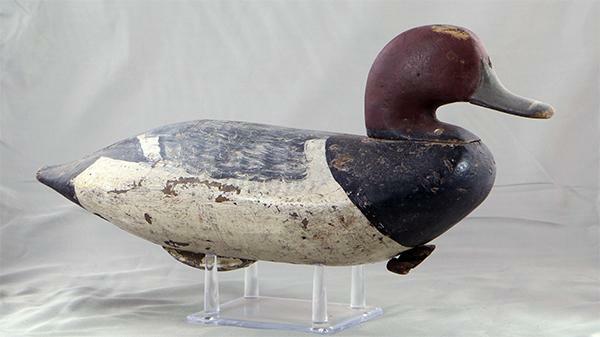 1915: Scott Jackson: Scott Jackson miniature Canvasback hen in original paint, circa 1915. 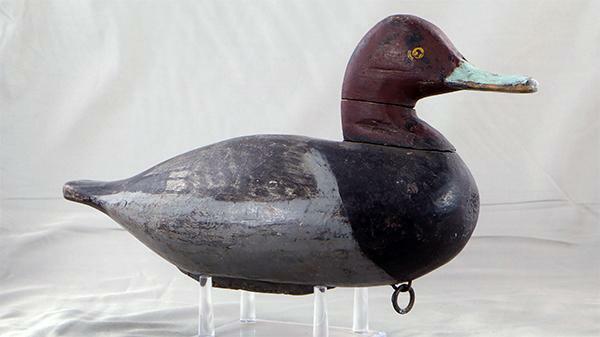 1915: Scott Jackson: Scott Jackson, miniature Canvasback pair in original paint, circa 1915. 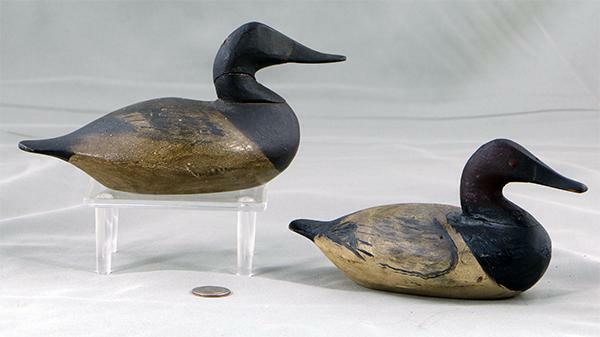 1915: Scott Jackson: Scott Jackson miniature Canvasback pair in original paint, circa 1915. 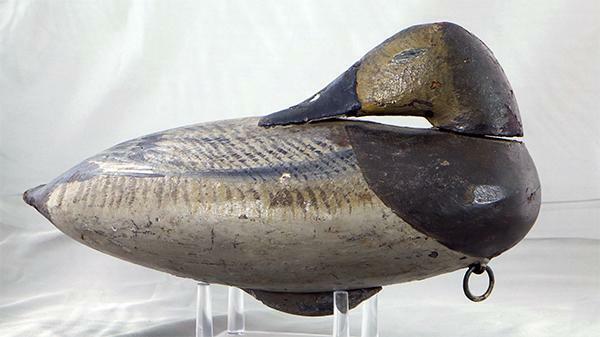 1915: Scott Jackson: Scott Jackson miniature Bluebill hen in original paint, circa 1915. 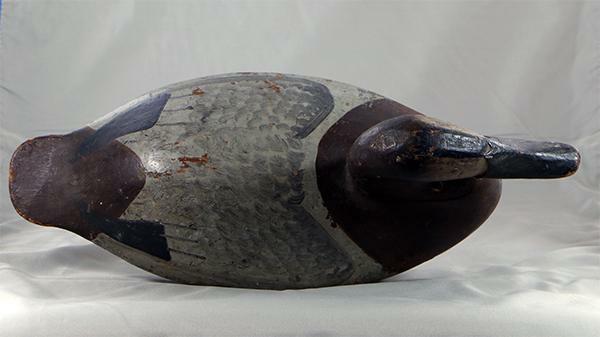 1925: Will Heverin: Will Heverin Canvasback hen in original paint, circa 1925. 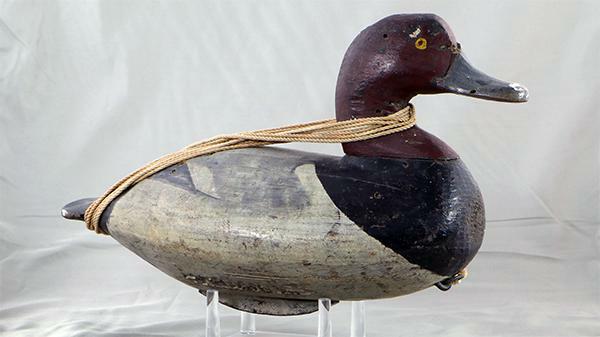 1925: Will Heverin: Will Heverin Canvasback drake in original paint, circa 1925. 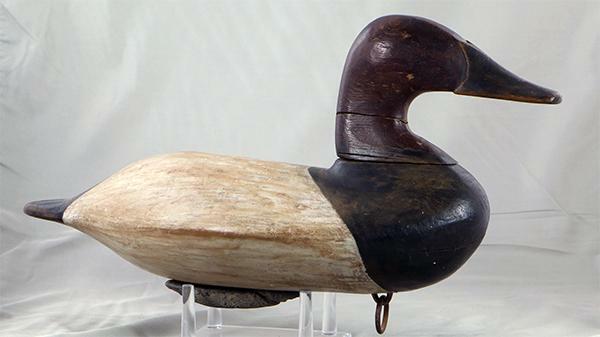 1900: Will Heverin: William Heverin Canvasback drake, wing duck, circa 1900. 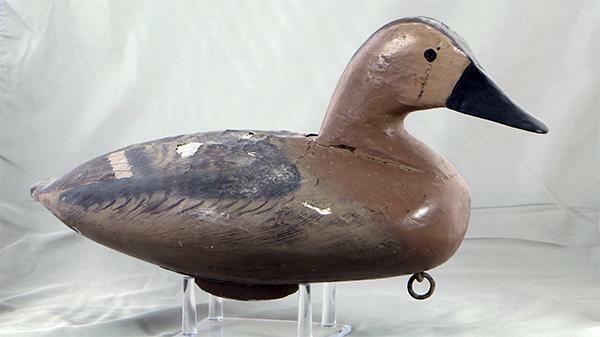 1920: Will Heverin: Will Heverin Redhead drake in original paint from the P.K. 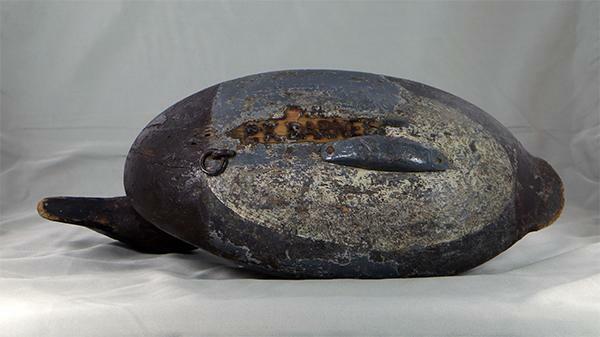 Barnes rig (as branded) circa 1920. 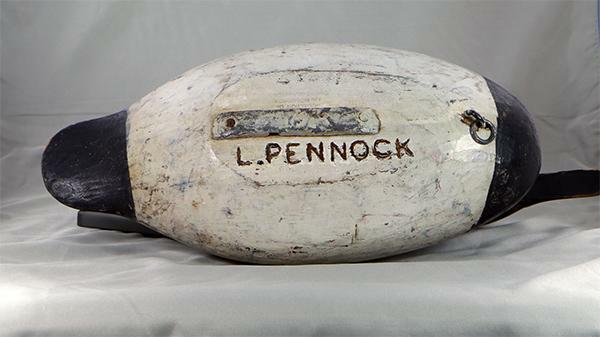 1935: Will Heverin: Will Heverin Bluebill drake in original paint from the Lew Pennock rig (as branded), circa 1935. 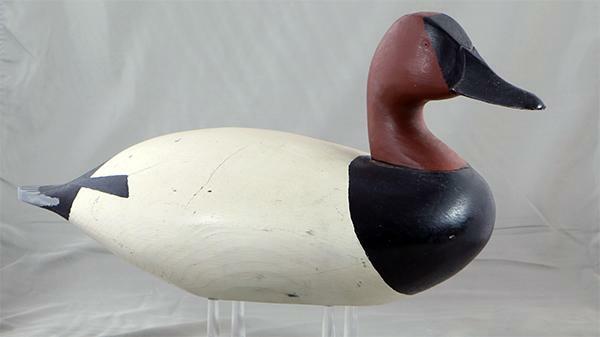 1900: Will Heverin: Will Heverin Canvasback hen high head model, circa 1900. 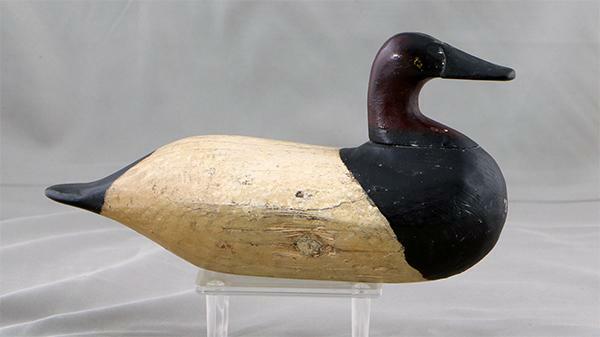 1900: Will Heverin: Will Heverin Canvasback drake high head model, circa 1900. 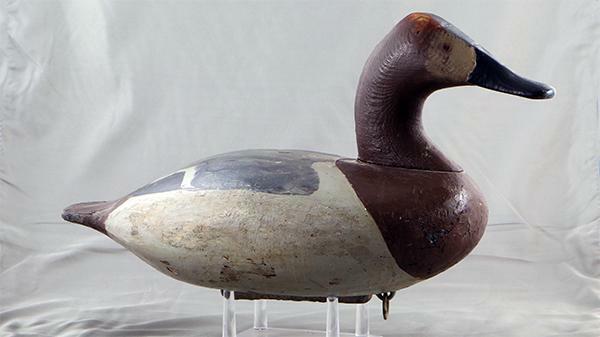 1925: Will Heverin: Will Heverin Canvasback drake high head model in original paint, circa 1925. 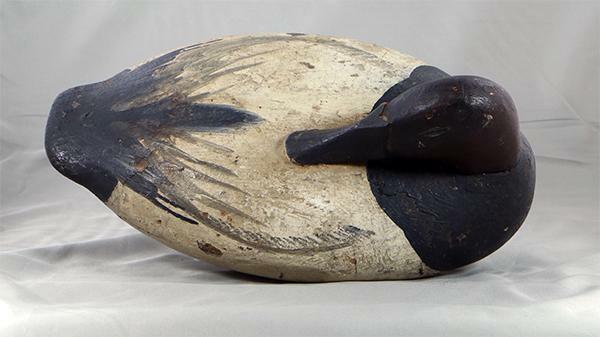 1915: Will Heverin: Will Heverin Redhead drake wing duck, circa 1915. 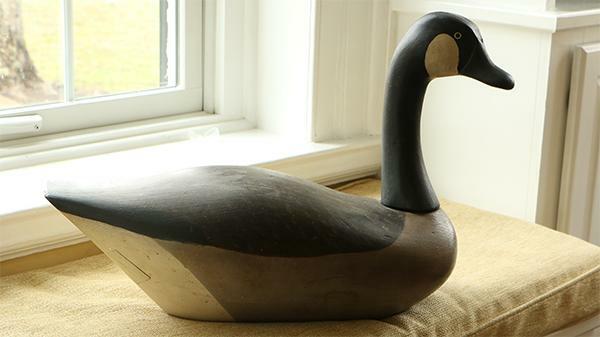 1925: Will Heverin: Will Heverin Black duck, circa 1925. 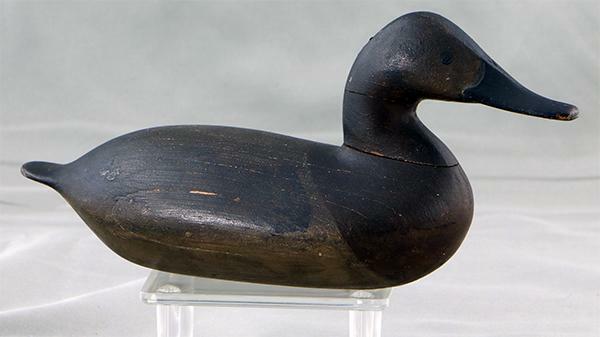 1900: Will Heverin: Will Heverin Black duck, circa 1900. 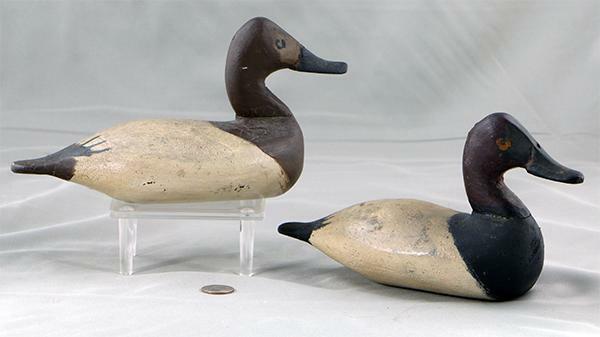 1925: Will Heverin: Will Heverin miniature Canvasback pair in original paint, circa 1925. 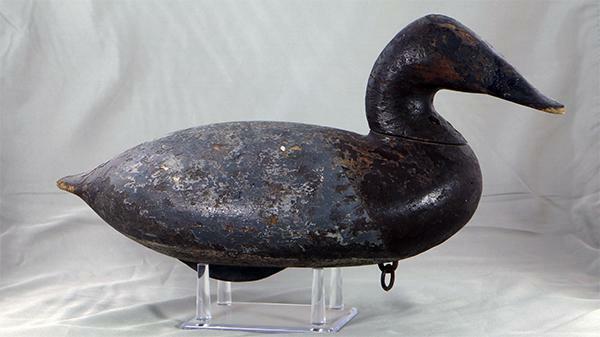 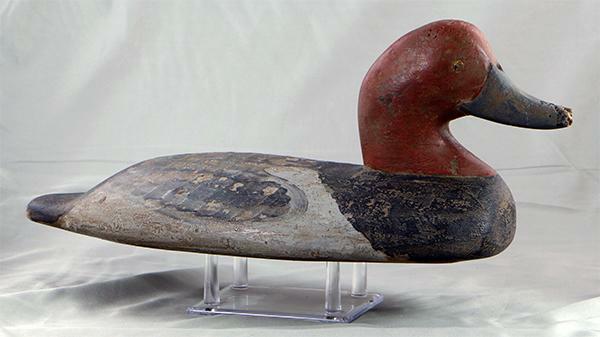 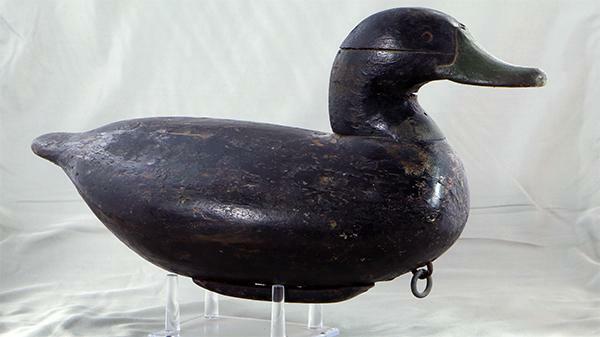 1880: Will Heverin: Will Heverin Canvasback iron wing duck, circa 1880. 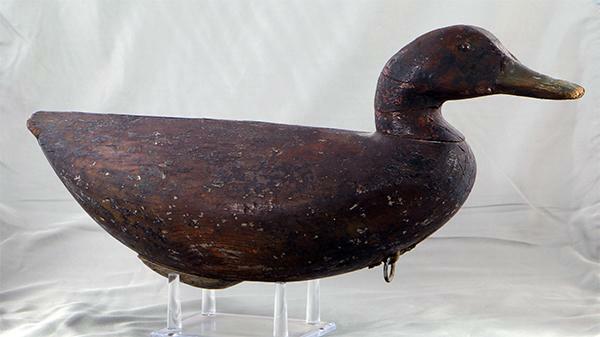 1880: Wash Barnes: Wash Barnes Canvasback hen in original paint, circa 1880. 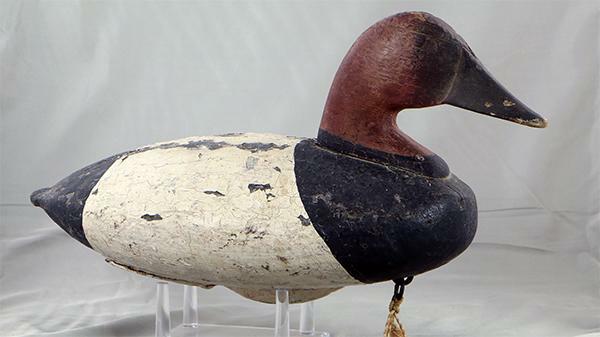 1880: Wash Barnes: Wash Barnes Canvasback drake, circa 1880. 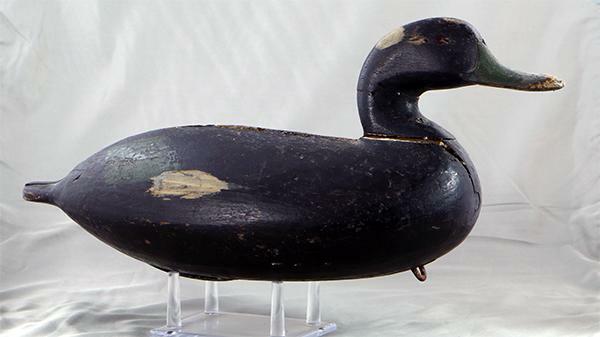 1880: Wash Barnes: Wash Barnes Black duck, circa 1900. 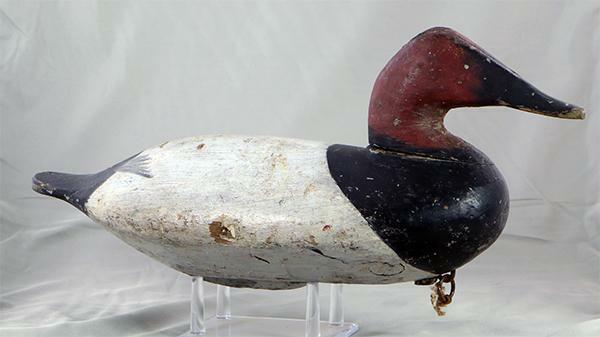 1890: Wash Barnes: Wash Barnes Redhead drake in original paint, circa 1890. 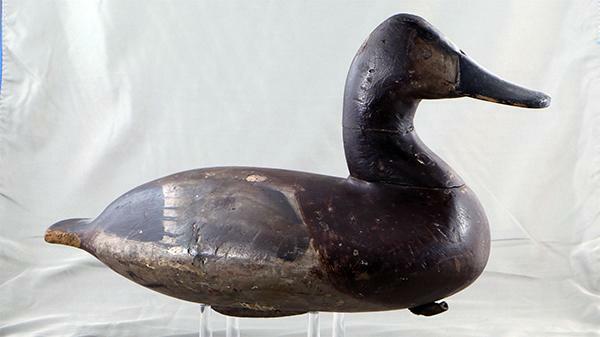 1880: Wash Barnes: Wash Barnes Bluebill drake in original paint, circa 1880. 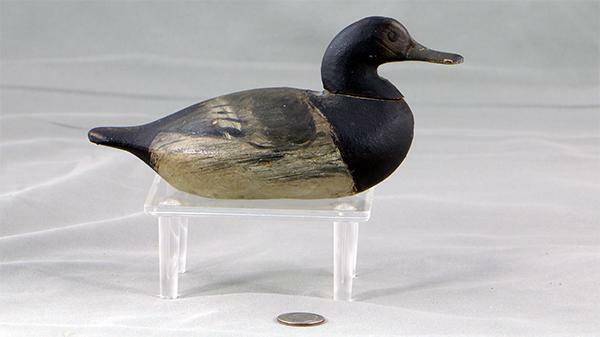 1900: Wash Barnes: Wash Barnes miniature Canvasback hen in original paint, circa 1900. 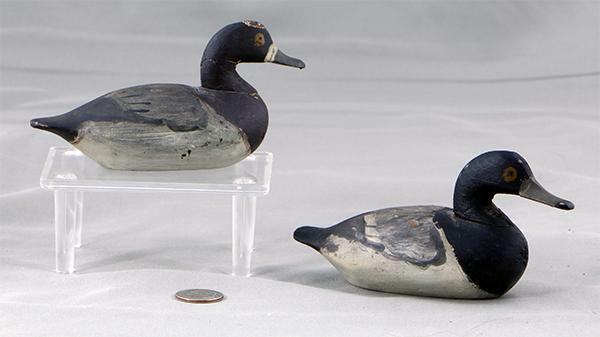 1900: Wash Barnes: Wash Barnes miniature Bluebill pair in original paint, circa 1900. 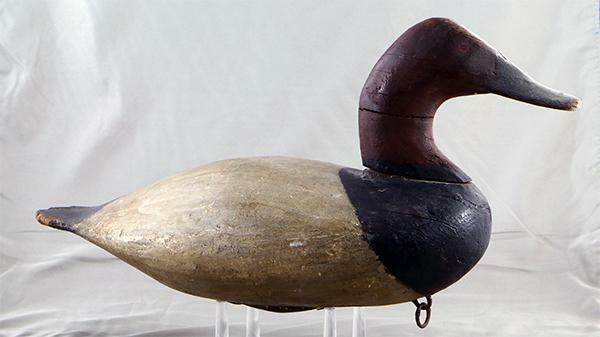 1920: Wally Algard: Wally Algard Canvasback hen in original paint, circa 1920. 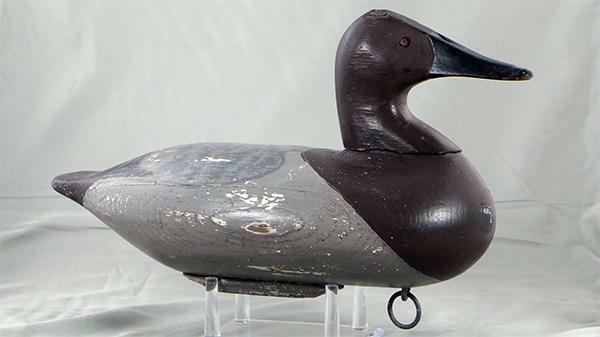 1920: Wally Algard: Wally Algard Canvasback drake in original paint, circa 1920. 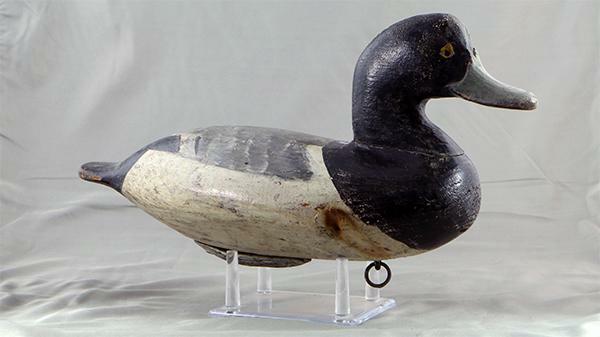 1910: Wally Algard: Wally Algard miniature Canvasback drake in original paint, circa 1910. 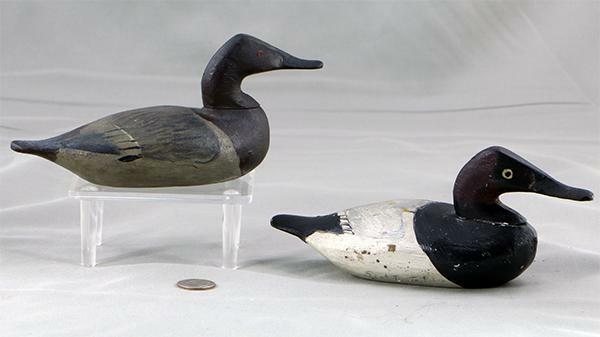 1920: Wally Algard: Wally Algard miniature Canvasback pair in original paint, circa 1920. 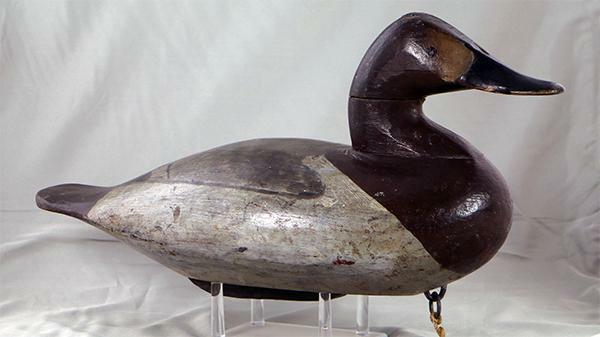 1945: Ralph Murphy: Ralph Murphy Canvasback hen in original paint, circa 1945. 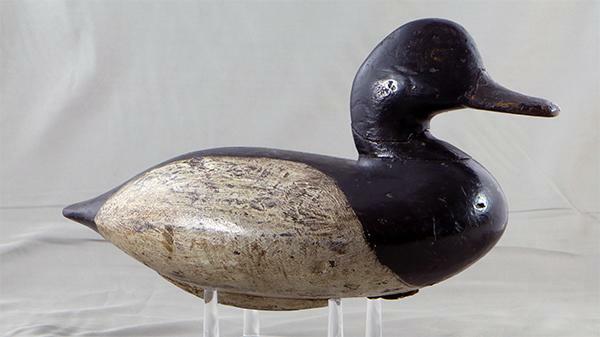 1945: Ralph Murphy: Ralph Murphy Canvasback drake in original paint, circa 1945. 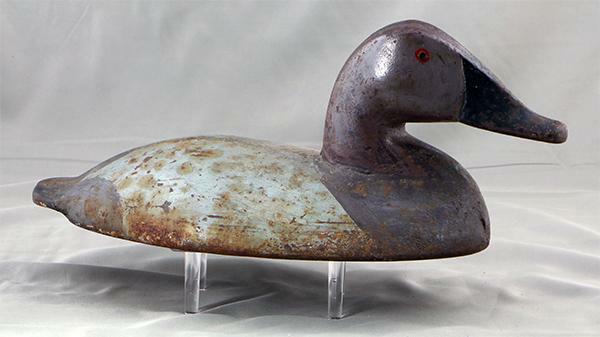 1945: Ralph Murphy: Ralph Murphy Redhead drake ice duck in original paint, circa 1945. 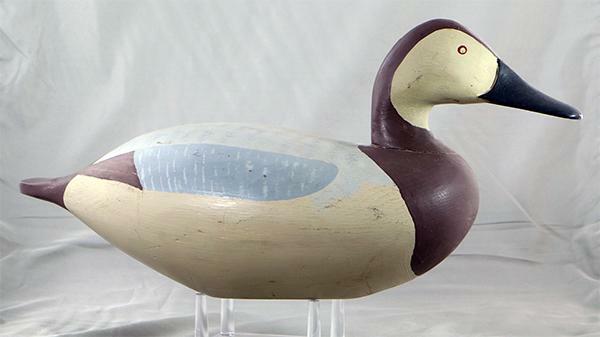 1950: Ralph Murphy: Ralph Murphy Bluebill drake in original paint, circa 1950.